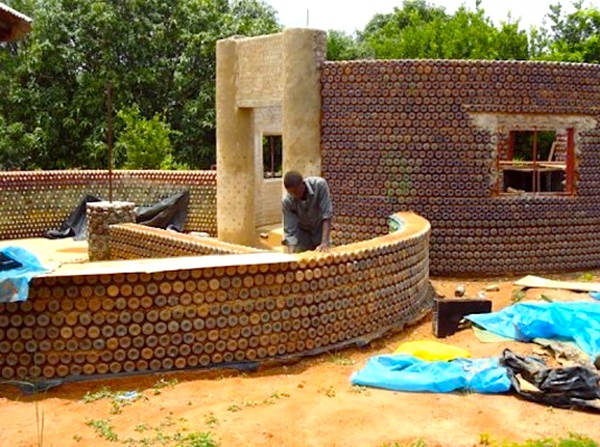 In 2011, a two bedroom home using recycled plastic bottles from the streets was constructed in Nigeria. With a housing shortage in Nigeria, the creators showed that they were definitely onto something with their brilliant idea. 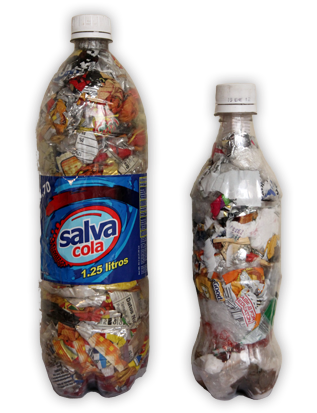 The capped plastic bottles were packed with sand, a technique which was started in India, Central and South America about 12 years ago in a process named 'Bottle Brick'. Not only does the construction allow the building to maintain a year round temperature of around 18 degrees Celsius, it is bulletproof, earthquake resistant and fireproof. ﻿﻿Each bottle weighs around 3 kilograms and are bonded together with cement and mud after they have been layered. The bottles are tied to each other by the neck with a network of strings, which provides the structure with more stability. The home may have been the first to be constructed using plastic bottles in Africa, however, it is certainly not the only one around the world. 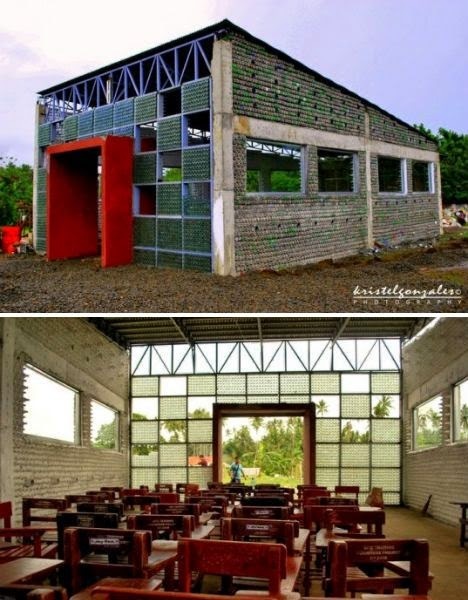 This classroom in the Philippines was constructed from 1.5 - 2 litre plastic bottles which were filled with adobe, as opposed to sand. Across Central America, Hug It Forward, a non profit organisation has been building classrooms and schools with local communities using plastic bottles, which are filled with inorganic rubbish. Since 2009, 39 school bottle projects have been successfully completed.